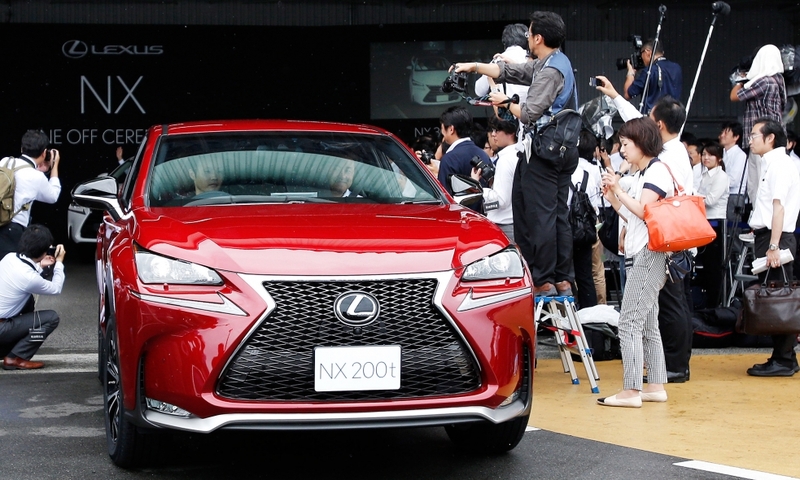 One of the first Lexus NX crossovers to be built is driven off the production line at a ceremony at Toyota's Lexus assembly plant on Japan's southwestern island of Kyushu on Friday, Aug. 8. 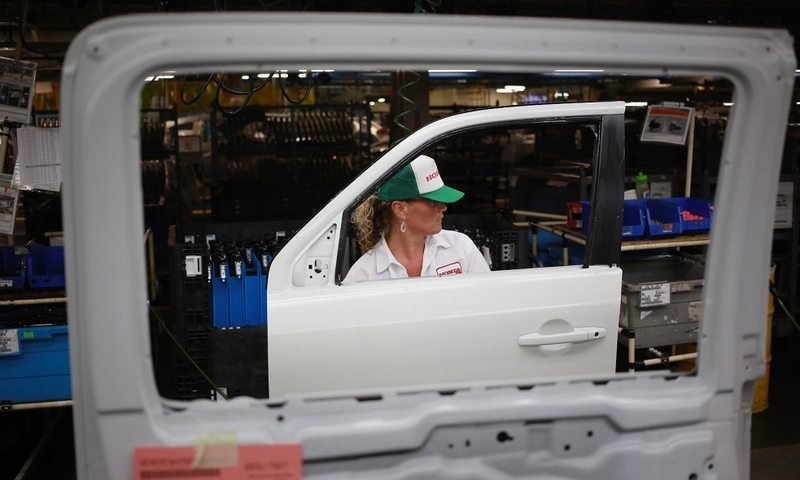 Amy Washburn prepares to install a door on a Honda Pilot at the company's assembly plant in Lincoln, Ala., on Tuesday, Aug. 12, 2014. 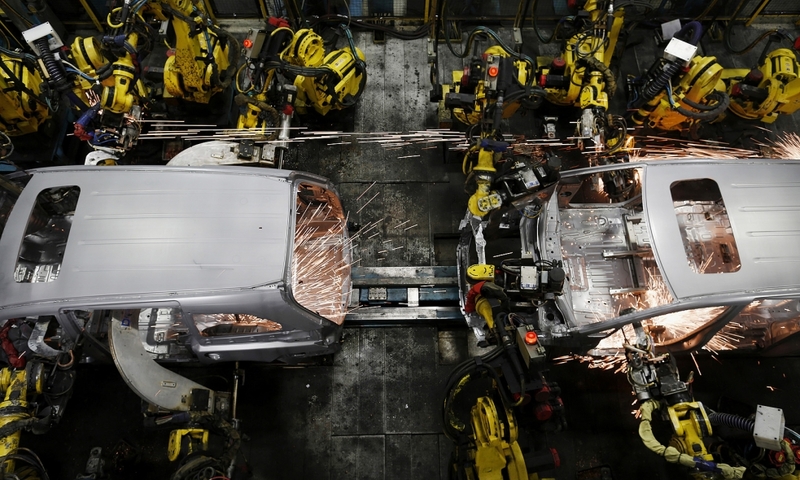 Sparks fly as robots weld the frames of Honda Odyssey minivans in the body shop at the automaker's assembly plant in Lincoln, Ala., on Aug. 12, 2014. Nissan designers and other company officials marked the formal opening of a satellite design studio in Rio de Janeiro, Brazil, on Wednesday, Aug. 13, 2014. 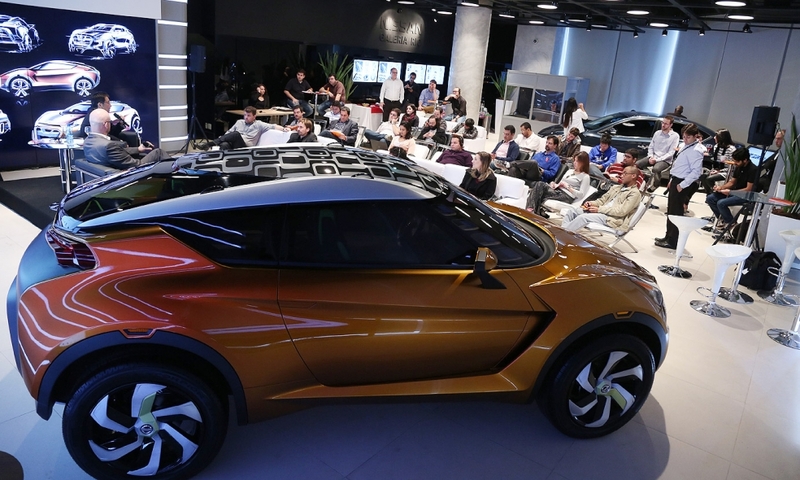 The Nissan Design America Rio studio is charged with researching materials and styling, and is already contributing to future projects, the company said during a ceremony led by Taro Ueda, vice president of Nissan Design America. 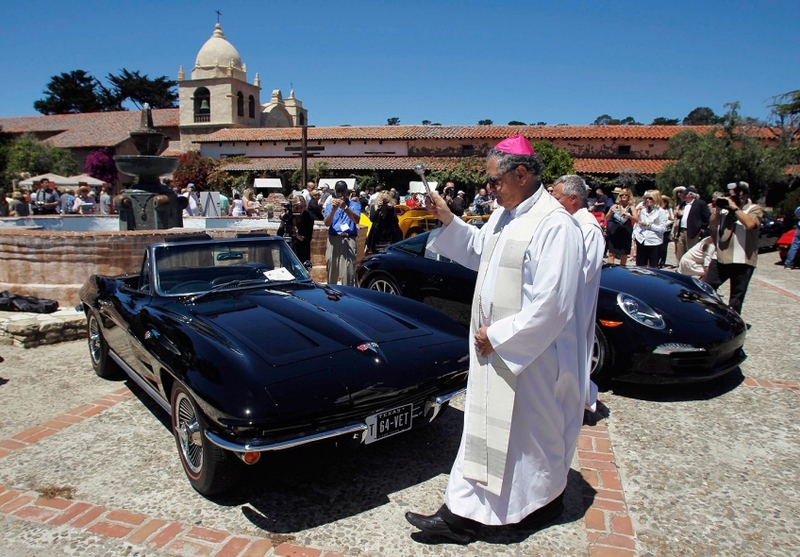 Richard Garcia, bishop of the diocese of Monterey, Calif., blessed a 1964 Chevrolet Corvette during the Carmel Mission Classic car show in Carmel, Calif., on Wednesday, August 13, 2014. 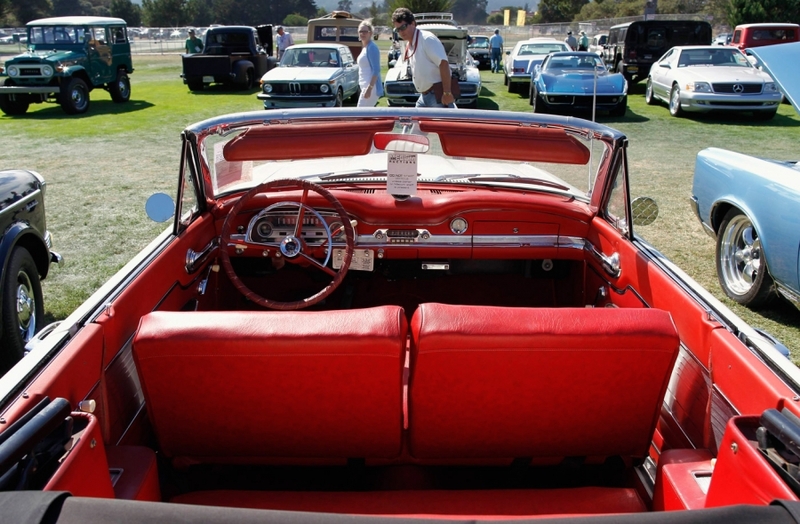 The event, which includes a blessing of the automobiles in the show, is held during the Pebble Beach Automotive Week, which culminates with the Concours d'Elegance. 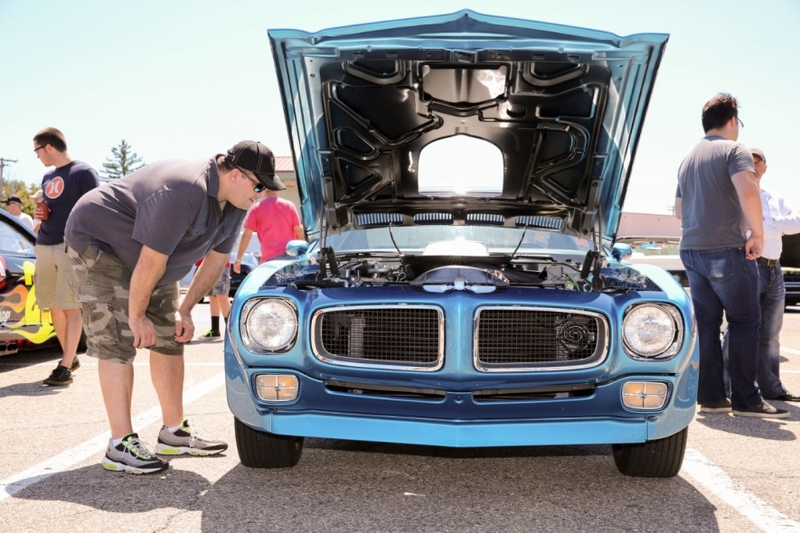 General Motors designer Marc Mainville checks out a classic Pontiac Trans Am on Wednesday, Aug. 13, 2014, during the 5th annual Design on Woodward car show, sponsored by GM Design, in Royal Oak, Mich.
Two unidentified boys check out a 1964 Peel Trident during the Little Car Show in Pacific Grove, Calif., on Wednesday, August 13, 2014. 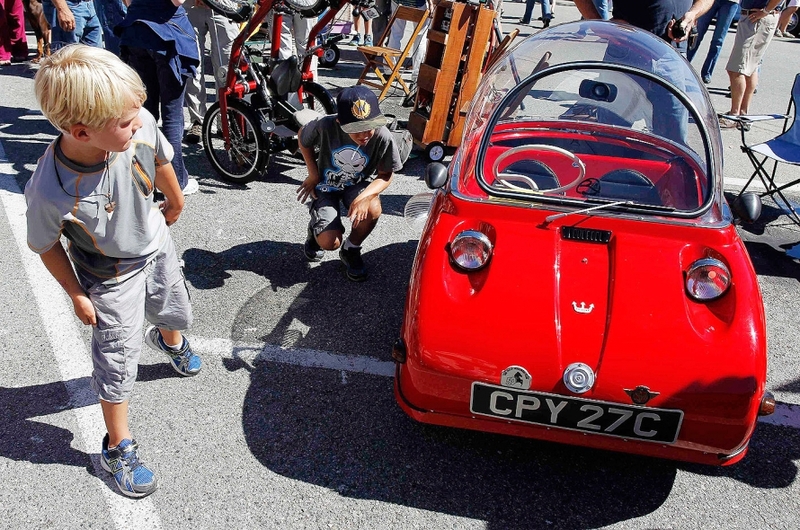 The event, which showcases small cars with up to 1,601cc engines, as well as electric cars, is held during the Pebble Beach Automotive Week which culminates with the Concours d'Elegance. 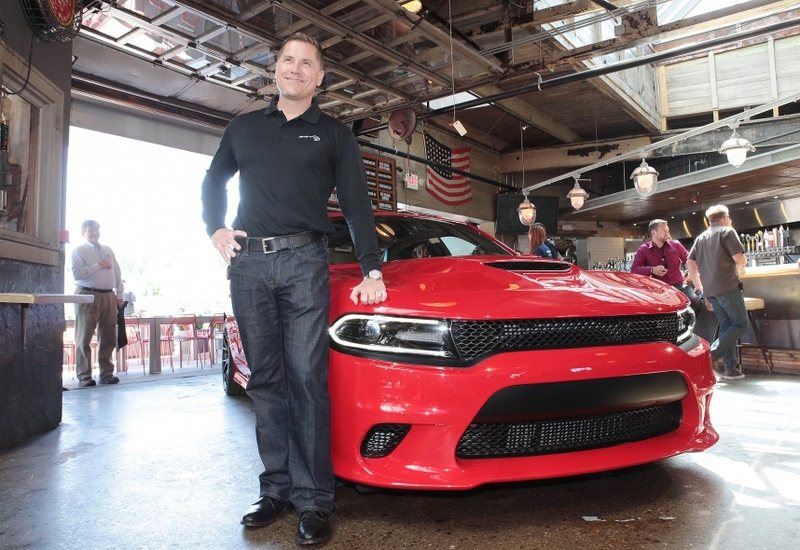 Tim Kuniskis, president and CEO of Chrysler Group's Dodge and SRT brands, unveiled the 2015 Dodge Charger SRT Hellcat on Wednesday, Aug. 13, 2014, in Royal Oak, Mich. The Charger's supercharged 6.2-liter HEMI Hellcat engine generates 707 horsepower. The high-powered sport sedan will be built at Chrysler's Brampton assembly plant in Ontario, Canada, starting in the first quarter of 2015. 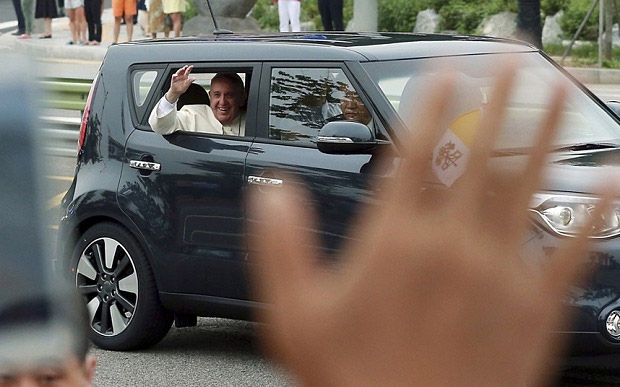 Pope Francis arrives on Thursday, Aug. 14, 2014, in Seoul driven in a Kia Soul for a five-day stay in South Korea. The pope planned to meet some of the country's 5 million Catholics during the first trip to Asia by a pontiff since 1999. 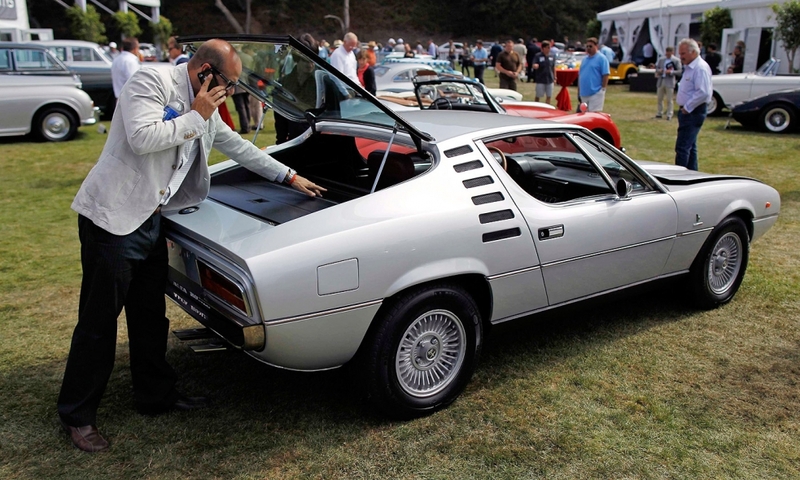 An unidentified man examines the hatch of a 1974 Alfa Romeo Montreal during a preview of the Bonhams Quail Lodge car auction in Carmel, Calif., on Thursday, Aug. 14, 2014. The auction of collector cars is held during the Pebble Beach Automotive Week, which culminates with the Concours d'Elegance. 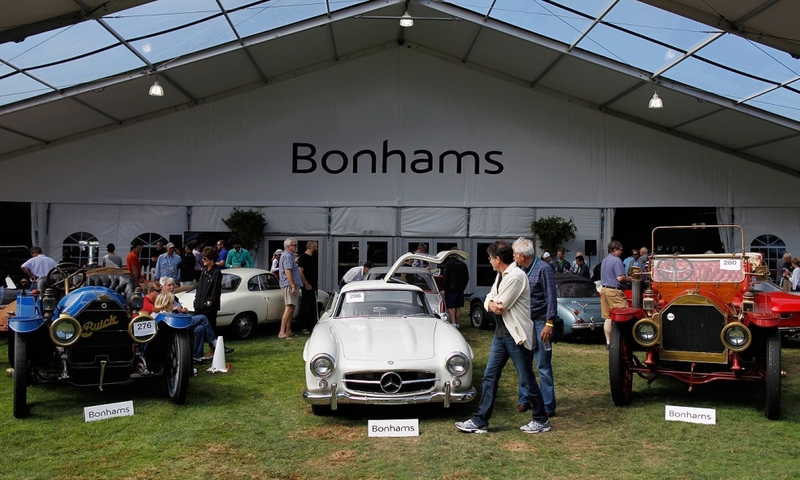 A row of cars sit on display during a preview for the Bonhams Quail Lodge car auction in Carmel, Calif., on Thursday, August 14, 2014. 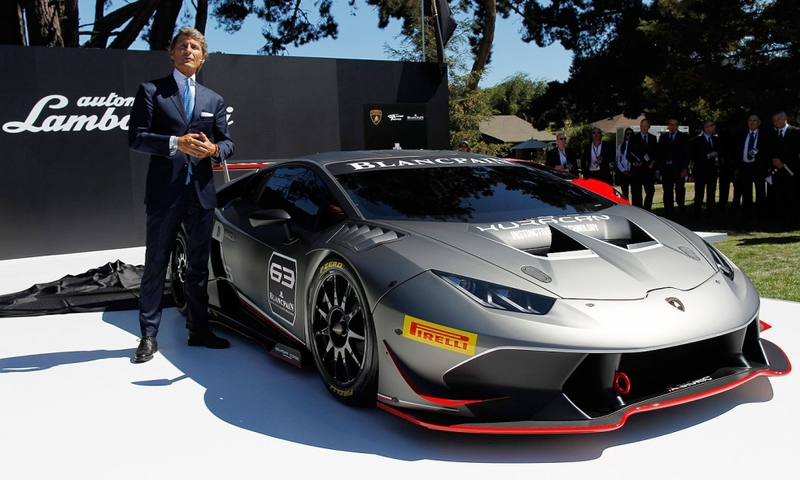 Lamborghini President and CEO Stephan Winkelmann unveils the Huracan LP 620-2 Super Trofeo during The Quail, a car show in Carmel, Calif., on Friday Aug. 15, 2014. The Super Trofeo is a non-street-legal version of Lamborghini's new Huracan super car, which is arriving in dealerships now. It packs 620 horsepower and its rear-wheel-drive setup drops more than 300 pounds from the more traditional race car setup that drivers are accustomed to. 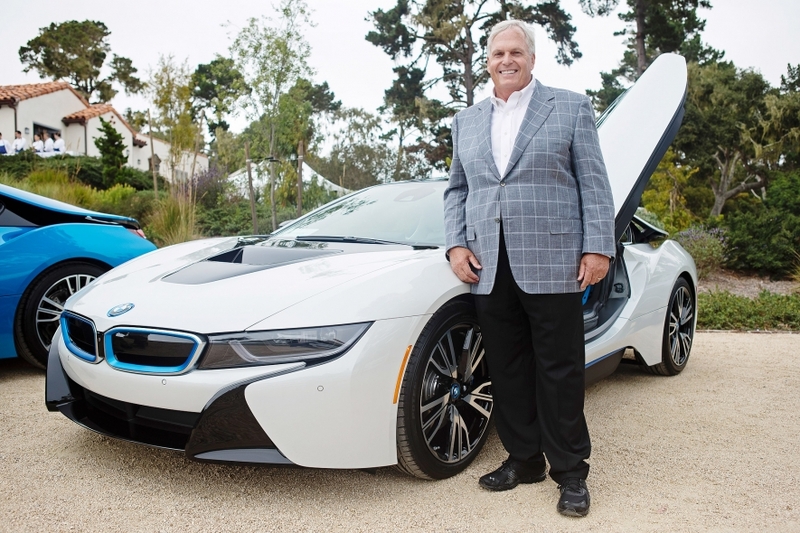 Dealer Rick Hendrick, founder of the Hendrick Automotive Group, poses with the all-new BMW i8 plug-in hybrid at the BMW Villa in Pebble Beach, Calif., on Friday, April 15, 2014. BMW delivered the first i8 sports cars to Hendrick and others, including race team owner and dealer Roger Penske, and chef Thomas Keller, during a special event. 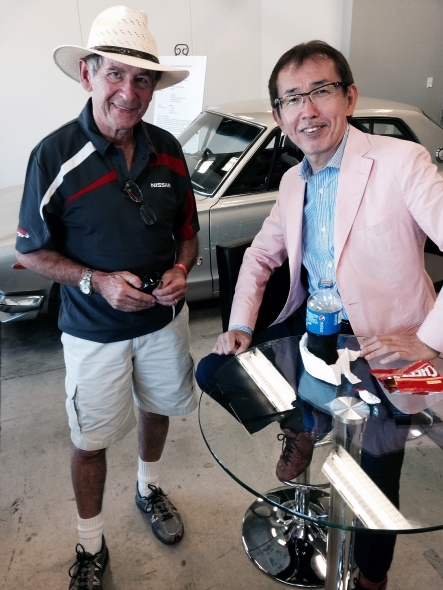 Nissan global design chief Shiro Nakamura, right, stops by the paddock to meet racing fans at the annual Rolex Monterey Motorsports Reunion on Saturday Aug. 16, 2014, at California's Mazda Raceway Laguna Seca. In addition to answering questions from GT-R and Z fans as they strolled by, Nakamura discussed race car design with track champion Steve Millen, left. Millen won at the 24 Hours of Le Mans in 1994 driving a 300ZX racer. Nissan's next-generation 370Z is currently in development. A 1963 Ford Falcon convertible sits in the sold lot during the Mecum car auction in Monterey, Calif., on Aug. 15, 2014. 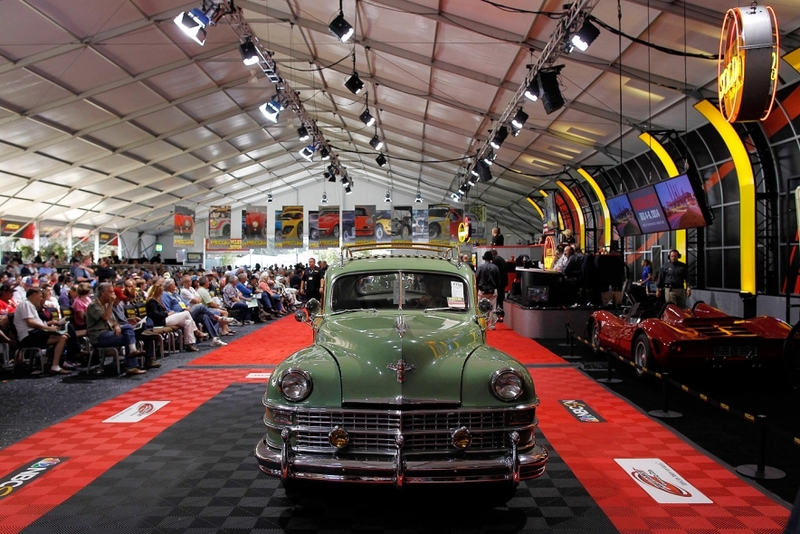 A 1948 Chrysler Town & Country sedan on the sales block during the Mecum car auction in Monterey, Calif., on Aug. 15, 2014.